Now that the sun is shining, Summer never seemed so close. Sooner than we think, it’ll be time to break out the bikinis and coral nail polishes. We’re all about Summer style and its effortless, natural look. To add a personal touch, we can’t wait to accessorize our outfits with our fun, girly jewels. Take this chic laser-cut sandal bootie for instance. The subtle floral print epitomizes the novelty of Summer style, so we’d wear these shoes with a hint of irony. A bold ear cuff adds irony and soft metal tones feel easy. As you can see, we’re a big fan of laser-cut anything. This blouse just looks so crisp and breezy, perfectly appropriate as the temperature rises without sacrificing style or modesty. 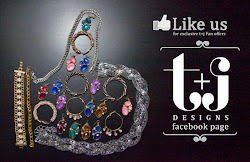 Injecting a bit of sparkle to an outfit never hurts though, which is where our gorgeous jewelry comes in. The perfect bag for the season is this one. 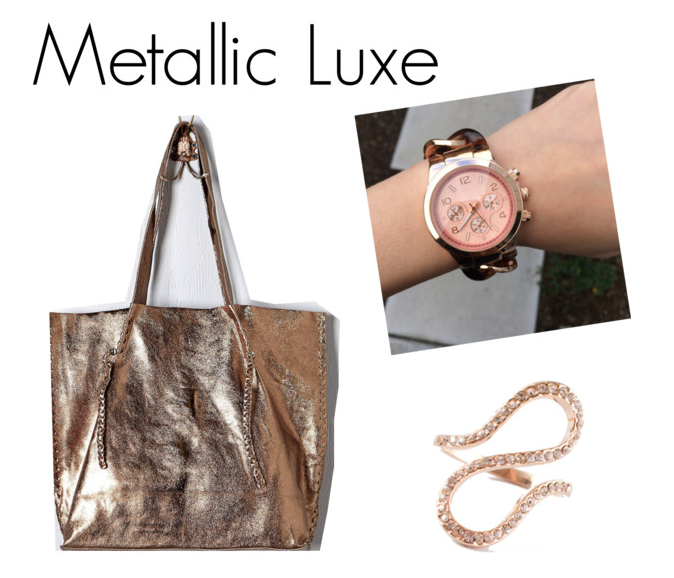 The bronze metallic is so stylish, but not overdone and will pair well with basically any color. The roomy size allows it to double as a beach tote after running errands without missing a beat. We picture accessories that are smart and subtle with this bag. Don't forget to take 35% off during our Friends & Family sale until Sunday 4/20! Use code FRIENDS35 and shop here! What Summer styles are you most looking forward to start wearing?